Window Well Experts » Blog » Getting more Natural Light into your basement! Have you used many otherwise leisure time hours finishing your basement to add a room without the added cost of putting on an addition to your home? Do you need to flip the switch to turn on your artificial light whenever you use the basement room? Would you like more natural light to filter into the room that you painstakingly built with your blood, sweat, and tears? Here’s how to do it. Scientists and behaviorists have long known that natural light is advantageous to our mental well-being and improves out psychological health and productivity on the job. Most lay people also are aware they feel better when the sun is out, even in a dreary winter season. Along with the psychological advantages, daylight statistically has been confirmed that it delivers physical benefits that improve our health. Scientifically speaking, sunlight contains all the colors of the light spectrum, including ultra violet and infra-red varieties. Natural light also produces heat. This is why you can still tan or get some sunburn on a cloudy day. Artificial light, except “plant grow” lamps, contains less than the full spectrum of colors, delivering fewer benefits than sunlight. Our eyes and our brains actually function better with natural versus artificial light. While many photography gurus maintain there is no difference between natural and artificial light. This position is based on photography alone, not psychological, personal energy levels, or physical health bases. Artificial light sources include incandescent bulbs, which also produce heat (like the sun), fluorescent tubes, and LEDS. 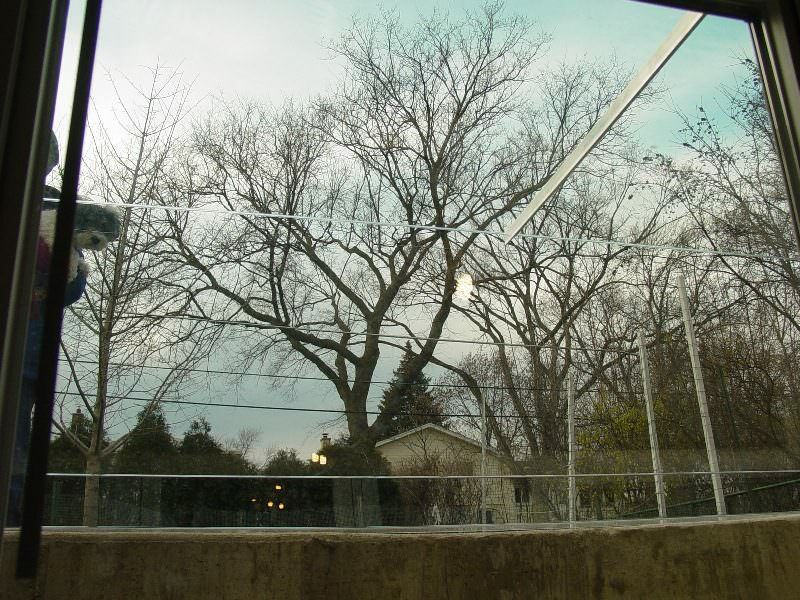 Our Atrium Window Well Covers allow maximum light into your basement! However, you still may be perplexed on ways to allow more natural daylight to filter into your basement. There is at least one proven way to accomplish this goal, which is particularly important if you build a home office in your basement. Research studies show that natural daylight improves work productivity. Installing custom window well covers that are clear Polycarbonate with an ultra violet (UV) coating, which prevent them from yellowing and clouding up, will let more natural light into your basement. Depending on the compass direction your small basement windows face (south-facing windows will produce the most natural light, even in winter). Since the sun is our planet’s energy source, it’s not a mystery why daylight also provides humans with more energy. Although only living plants grow and produce oxygen through photosynthesis, human beings also benefit from sunlight. When you let more natural light by choosing clear window well covers, you’ll enjoy a helping of needed electromagnetic energy generated by the sun’s full spectrum of color bands. Plants and animals exposed to prolonged artificial light, typically, experience detrimental effects. If plants and animals could choose for themselves, they would both select a balance of natural light and artificial light only for illumination reasons when its dark. View of our Atrium covers from the inside of your basement, crystal clear! Letting more natural light into your basement is beneficial to your entire family. 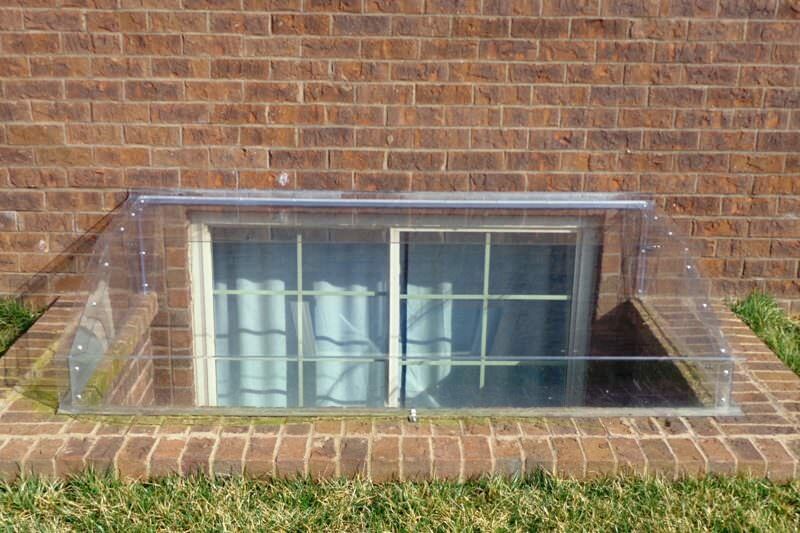 Using clear custom window well covers accomplishes this excellent goal. Your plants and pets will benefit from the essential cellular repair from this day/night cycle from enjoying natural light during the day and artificial light at night. Read more about the benefits of natural light here.